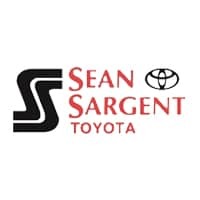 Sargent Toyota is proud to announce the Toyota Dream Car Art Contest. This contest Invites Canadian Youth to Dream About the Future of Mobility. Who has a better imagination than kids? And Sargent Toyota loves to see what kids can come up with for this contest. Toyota Canada is launching the 2016 Toyota Dream Car Art Contest for the creative minds and passionate hearts of Canadian youth to design show their vision of the future of mobility. “Every year, we’re inspired by the dreams of youth from around the world,” said Seiji Ichii, President and CEO of Toyota Canada Inc. “It’s exciting to see their imagination interpret how technology can help address larger societal issues facing their generation.” We couldn’t have said it better Seiji. So if you are a Canadian youth under the age of 16 please show us your artwork conveying your vision of transportation. In the last three years, three Canadian entries were chosen as a global finalist. Over that time, more than two million entries were submitted from over 80 countries. Artwork submissions can be created with any type of medium such as paint, markers or crayons but must not be created digitally. All artwork must be made on paper no smaller than letter (A4) and no larger than tabloid (11-12 X 16.5-18 inches) size paper and needs to feature a coloured background. The contest is open to all residents of Canada. Contest submissions are accepted for three age categories: under eight, 8-11, and 12-15. Submissions for artwork entries begin today, November 2, 2015, and will run until February 26, 2016. One winner and two runners-up in each age category will be selected by a panel of judges. Each of these nine winners will receive a 7-inch, 8GB tablet with WiFi, and also entered as Canada’s representatives in the world contest. From the global entries, 10 finalists from each of the three age categories will be announced next August. All 30 finalists, along with both parents/guardians for each, will be invited to an all-expenses-paid trip to Japan courtesy of Toyota Motor Corporation. 0 comment(s) so far on It’s the Toyota Dream Car Art Contest!!! !